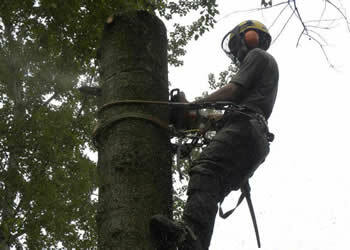 Professional Tree Surgeons Covering Kent, London and Norfolk. We're fully qualified & insured & provide free advice & quotations. About The Tree Co Services Ltd.
We are professional, fully qualified and insured tree surgeons offering a comprehensive range of tree and hedge care services in the areas of Kent, South East London, parts of Surrey and Norfolk. 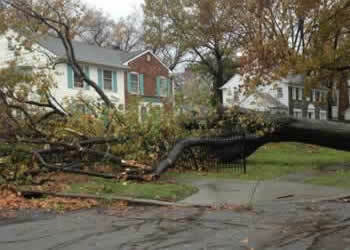 We provide quality tree care at competitive rates together with a modern, dynamic approach to all types of tree work. If you would like a FREE quotation by one of our team, please email or call us to book an appointment with one of our team. Formative pruning - This is ideal for young trees to improve their growth and general structure of the tree. Similar to pruning your favourite houseplant, we can train your tree to grow in a particular shape before it gets too large. Crown Thinning - This allows the shape and size to remain consistent by selectively removing branches to thin the overall number of branches. 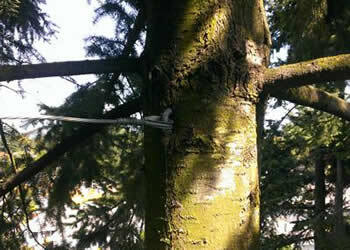 This allows more air and sunlight to penetrate the tree, thus stimulating new growth. It also allows more natural light to hit the ground. Crown thinning is the perfect solution if you have a larger tree that blocks out much of the sunlight reaching your garden. Crown Lifting - This is also a great solution for allowing more light at ground level by trimming and pruning the lower branches of your tree. It's also ideal if you have low-hanging branches outside of your property's boundary; by removing the lower branches, pedestrians and cars can pass underneath safely without being hindered. Each tree is different. Aside from its size and species, the location of your tree is an important factor. Some trees can be felled in one whereas others need to be dismantled piece by piece. Regardless of your tree's location, our arborists/tree surgeons have the knowledge and experience to get the job done quickly and professionally by using the most suitable cutting and rigging system to bring your tree down safely. We provide a comprehensive tree felling service in Kent, Norfolk, Surrey and London, regardless of where your tree is located - If it needs to be dismantled piece by piece or felled in one, we can offer the right solution to fit in with your individual needs. Our skilled tree surgeons have the necessary experience to assess the specific requirements of each situation on a case by case basis. 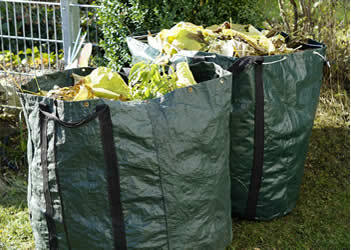 Once your tree is at ground level, you can either opt for us to take it away you can keep it for use as firewood. Either way, we'll always leave the area where we've been working clean and tidy. Our tree surgeons often attend building sites and other busy property construction and renovation sites to remove unwanted trees, hedges and shrubs. We're happy to work alongside the rest of the construction crew to play our part, whilst the building team carry on with their respective jobs. We can either bring along our machinery or if need be, we can work without it if it's not convenient or possible to have it at the site. For our domestic clients who are simply looking to tidy up their gardens, we provide the same service and will remove all of your unwanted plants, shrubs and trees. Some trees occasionally need additional support due to weak unions or included (ingrown) bark. We recommend bracing (particularly in specimen trees) as more of a prevention than a cure if they become aesthetically damaged. We tend to favour modern cable bracing methods which are generally non-invasive to the tree as older, more traditional methods often involve large bolts that will require drilling into the tree. We can also carry out annual inspections to ensure that everything is as it should be. Certain species of trees or plants are better suited to certain environments and we're happy to offer expert advice for your particular situation. Every situation is unique and often depends on a variety of factors such as the condition of the soil and the tree's light requirements (and of course, your own!). People often plant fast-growing trees near their properties, which can quickly block out natural light as the tree shoots skywards in the summer months. Our expert tree surgeons can tell you how fast the tree will grow and what height it's likely to reach, so you know what to expect in the future. 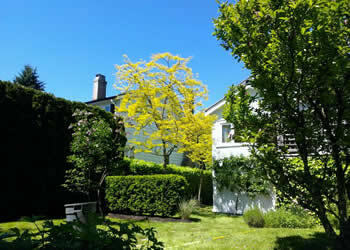 If you're not sure what type of tree is right for your garden, let us know and we'll be happy to advise. Our tree planting service also includes staking, tying, mulching and fertilising requirements at the time of planting. We can also offer advice about formative pruning during your tree's early years and also offer a contract watering service for newly planted residential and commercial trees. This service is available in all the areas we cover - London, Kent, Surrey and Norfolk. Hedges - As hedges don't grow as tall as trees, the species, soil and light requirements are critical factors. Some hedges will grow better in a shady area (if you have high fences), whilst some prefer large amounts of direct sunlight; some hedges are better suited to soil that drains well, whilst other species are suited to dense, nutrient-rich soil. If this all sounds confusing, don't worry, we're on-hand with plenty of free, expert advice and we can also offer a contract watering service for newly planted residential and commercial hedgerows if needed. 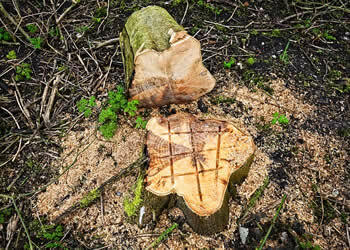 We provide a full tree stump removal service using a stump grinder. If you're not familiar with what this is, it's a piece of machinery that chips (or grinds) the stump into wood chips which you can either keep for your own use or have us take them away. Stump grinding is often a preferred choice if you're intending to replant or replace the tree that once stood there. If you simply have a tree removed but leave the stump in place, it will take several years of natural decay before you're able to dig the ground around the location of the stump. 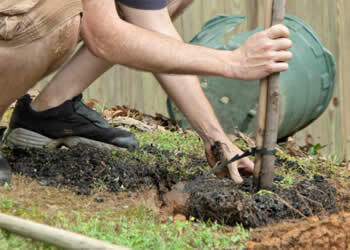 If your stump is ground away, planting a new tree in the same area can be done far more easily. If the stump is inaccessible, you can either turn it into a garden feature such as a rustic seat. Please be aware that recently cut trees will often quickly sprout new shoots from around the stump so if you don't want this to happen, we can use Eco Plugs to kill the root so that new growth doesn't occur. As you'd expect, our tree surgeons wear full personal protective equipment and use safety screens to prevent any damage from flying debris to you and your home. 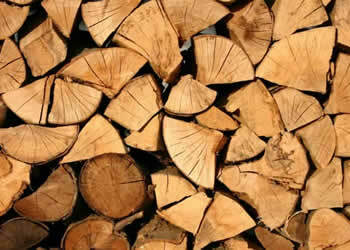 Sourcing a continuous supply of high-quality logs at a cheap price is essential if you have an open fire in your home. As tree surgeons, you'd be correct in assuming that we always have a continuous supply of cheap firewood and woodchips. If you're looking for a cost-effective alternative to buying expensive (and small) bags of logs from your local petrol station, get in touch to find out how much we charge in your area; we're sure you'll be pleasantly surprised. Similarly, our tree surgeons typically have a truck full of woodchips almost on a daily basis so rather than paying over the odds for a few bags at your local garden centre, we're sure to be a cheaper alternative. What better place to get a supply of cheap organic logs and firewood than from your local tree surgeon? If you have an emergency such as a fallen or dangerously unstable tree and need immediate help, please call us straight away. This service is subject to one our professional tree surgeons being available in your area. 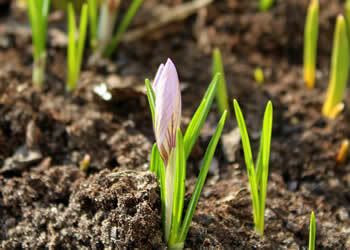 We offer a comprehensive fertilisation service to keep your property looking fabulous all year round. This service is suitable for individual homes and also larger companies, local councils and Housing Association properties. Where is The Tree Co based? We originally began our operations in Chislehurst, Kent; bordering South East London. After providing a successful service to Kent and SE London customers, we've now expanded to include parts of Surrey as well as moving our administrative head office to Norfolk. If you'd like to find out more about who we are, have a quick read of our About Us page.